A conviction for drug possession, or possession of a controlled substance (POCS), in Dallas can result in serious penalties. Violators face imprisonment, fines, a criminal record, an inability to pursue certain jobs or professions, and/or a driver’s license suspension or loss of driving privileges. Often, law enforcement officers in Texas will attempt to charge alleged offenders with more serious drug offenses if they are caught with a controlled substance in their possession. Some of the more common drug charges include possession with intent to sell or drug trafficking. If you have been charged with a drug possession offense in Texas, it is important to contact an experienced Dallas drug crimes law firm to begin crafting your best legal strategy. If you have been charged with possession of a controlled substance in Dallas or the surrounding areas, contact the Law Offices of Richard C. McConathy. We represent North Texas clients in communities such as Irving, Plano, Fort Worth, Richardson, and Frisco. 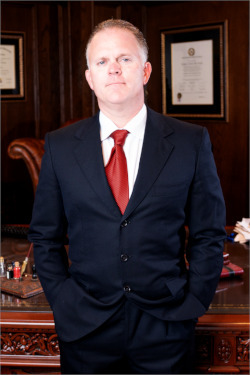 Attorney Richard McConathy is knowledgeable in all areas of Texas’s drug defense laws and will make every effort to fight the allegations against you. Call the Law Offices of Richard C. McConathy for a free consultation at (972) 233-5700 about your alleged drug possession offense. What Is Possession of a Controlled Substance in Texas? According to Sections 481.115 through 481.118 of the Texas Health and Safety Code, an individual can be charged with possession of a controlled substance, narcotics, or drugs if they knowingly or intentionally possess substances found in Penalty Groups I through IV without a valid prescription from a person licensed to practice medicine. The penalties for possession of a controlled substance in Dallas depend on the penalty group the substance is categorized in and the amount of the drug or substance. Penalty Group I (PG-1) – Examples of substances in this group include, but are not limited to heroin, methamphetamine, codeine, hydrocodone, and cocaine. Penalty Group II (PG-2) – Examples of substances in this group are psilocybin (also called magic mushrooms or shrooms), MDMA (ecstasy), and hallucinogens. Penalty Group III (PG-3) – Examples of substances in this group can include Xanax, Valium, lysergic acid diethylamide (also known as LSD or acid), and drugs containing small amounts of narcotics. Penalty Group IV (PG-4) – Examples of substances in this penalty group can include substances with limited quantities of narcotics that also contain one or more non-narcotic active medical ingredients. An individual can be charged with a state jail felony offense if the amount of the drug in their possession is less than one gram. Maximum penalties for this offense include imprisonment from 180 days to two years and a fine of $10,000. An individual can be charged with a third-degree felony if the amount of the drug in their possession is between one and four grams. Maximum penalties for this offense include imprisonment from two to ten years and a fine of $10,000. An individual can be charged with a second-degree felony if the amount of the drug in their possession is between 4 grams and 200 grams. Maximum penalties for this offense include imprisonment from 2 to 20 years and a fine of $10,000. An individual can be charged with a first-degree felony if the amount of the drug in their possession is between 200 grams and 400 grams. Maximum penalties for this offense include imprisonment from 5 to 99 years and a fine of $10,000. An individual with 400 grams or more of a substance in their possession can receive 10 to 99 years in prison and/or a fine up to $100,000. An individual can be charged with a state jail felony drug possession offense if the amount of the substance in their possession is less than one gram. A conviction for this offense can result in a jail sentence ranging from 180 days to two years and/or a fine up to $10,000. An individual can be charged with a third-degree felony drug possession offense if the amount of the substance in their possession is between one gram and four grams. A conviction for this offense can result in a prison sentence ranging from two to ten years and/or a fine not more than $10,000. An individual can be charged with a second-degree felony drug possession offense if the amount of the substance in their possession is between 4 grams and 400 grams. A conviction for this offense can result in a prison sentence ranging from 2 to 20 years and/or a fine up to $10,000. An individual with 400 grams or more of a substance in their possession can receive five to 99 years in prison and/or a fine up to $50,000. An individual can be charged with a Class A misdemeanor drug possession offense if the amount of the substance in their possession is less than 28 grams. A conviction for this offense can result in a jail sentence of up to one year and/or a fine not more than $4,000. An individual can be charged with a felony of the third degree drug possession offense if the amount of the substance in their possession is at least 28 grams but less than 200 grams. A conviction for this offense can result in two to ten years in prison and/or a fine up to $10,000. An individual can be charged with a felony of the second degree drug possession offense if the amount of the substance in their possession 200 grams or more but less than 400 grams. A conviction for this offense can result in a prison sentence ranging from two to 20 years and/or a fine not more than $10,000. An individual in possession of 400 grams or more of a substance can receive a term of five to 99 years in prison and/or a fine up to $50,000. An individual can be charged with a Class A misdemeanor drug possession offense if the amount of the substance in their possession is less than 28 grams. A conviction for this offense can result in a jail sentence up to 180 days and/or a fine not more than $2,000. An individual can be charged with a felony of the third degree drug possession offense if the amount of the substance in their possession is 28 grams or more but less than 200 grams. A conviction for this offense can result in imprisonment from two to ten years and/or a fine not more than $10,000. An individual can be charged with a felony of the second degree drug possession offense if the amount of the substance in their possession is 200 grams or more, but less than 400 grams. A conviction for this offense can result in a prison sentence ranging from of two to 20 years and/or a fine not more than $10,000. Marijuana (or “marihuana,” as it is referenced in the Texas Statutes) is one of the most popular drugs not just in Texas, but in the entire country. While other states are beginning to pass legislation legalizing marijuana for medical and recreational purposes, Texas is still stuck in the past. Interestingly, there is no Texas law against marijuana cultivation. If you are caught growing marijuana, you will be charged with possession. This means that the wet, unharvested, uncured plants will be weighed and used to determine the severity of your charge. You will likely also receive a paraphernalia charge for any equipment used in your grow operation. Contact Law Offices of Richard C. McConathy today for a consultation about your alleged possession of a controlled substance offense throughout Dallas County in Texas. Richard McConathy is an experienced Dallas drug crimes lawyer in Dallas who will make every effort to help you avoid the most serious penalties and repercussions to your alleged offense. Call (972) 233-5700 or submit an online form for a free consultation about your drug case. We represent clients in and around Dallas County, including Denton County, Collin County, and Tarrant County.